Inova Trauma Externship Program is designed for college students who are studying medicine and pursuing careers in trauma care. Students who are interested in healthcare and careers in medicine, nursing and other healthcare professions may apply. The program gives students a real-life view into what happens in trauma care. This is an unpaid externship that lasts two weeks. During this time, externs will observe professionals at work in trauma care and gain an in-depth view into a career as a trauma care service provider. Healthcare students will find this externship an enriching experience as they join trauma surgeons on their daily rounds, assess patients and provide emergency resuscitation and surgical procedures. American Animal Hospital Association (AAHA) Externships provide in-field work experience for veterinary medicine students. The externships are available to both veterinary and veterinary technician students. Externships allow students to engage in their profession for a short time to learn what skills they need to develop to prepare for a career in veterinary medicine. Positions are available across the country. Externships can include small animals, felines, canines, emergency and trauma care, general practice, and much more. American College of Laboratory Animal Medicine (ACLAM) Externships are designed to provide a 2-3 week work experience in laboratory animal medicine for veterinary medicine students. The externships are offered at several different host locations. Students may choose an externship at a university such as Johns Hopkins or Ohio State University, or they can complete their externship at a medical facility such as Mayo Clinic in Arizona. Each externship will provide a placement that will match students' interests and career goals. Veterinary Centers of America Animal Hospital (VCA) Externships are available to 3rd or 4th year veterinary medicine students currently enrolled in a DVM or VMD program at an AVMA accredited college or university. The program offers externships at over 600 animal hospitals in 41 states, including three Canadian provinces. The externships are for experience, offering college students a variety of veterinary settings that will fit their particular career interest. Not only will students be able to work with experienced veterinarians but also talk to students who may be doing their residency at the hospital. Bucknell Externships give students an opportunity to observe professionals in their field of study to gain insight into their careers. Students in all disciplines may choose an externship that fits their career focus. The externships are designed to give students two days at a sponsor location to shadow their day-to-day activities and gain a better understanding of the company and industry. The early career exposure helps students to better define their career choices. 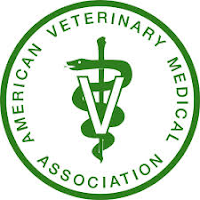 American Veterinary Medical Association (AVMA) Student Externship Stipend Program provides work experience for veterinary students along with a stipend. The externship program gives students an opportunity to use their classroom knowledge in the field while finishing their degree. This externship focuses on providing veterinary services in under-served areas. Externs will work within the dairy, beef, swine and poultry areas or other food supply veterinary practice settings. A stipend is included to help students defray any externship expenses. Food Safety and Inspection Service (FSIS) Externship opportunities are available for veterinary students interested in careers in food safety and public health. 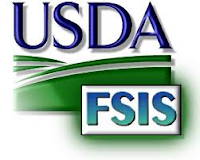 The externships are offered through the U.S. Department of Agriculture's Food Safety and Inspection Service. The externships are offered through the Volunteer Student Program (VSP)and are designed to provide veterinary students work experience in food safety and inspection. This is an unpaid externship for students currently enrolled in a college of veterinary medicine and accepted into the FSIS Volunteer Student Program. Washington College Externships are open to freshman and sophomore students at Washington College in Chesterland, Maryland. It is a one- to three-day work shadowing experience that allows students to explore different career fields. Unpaid externships are offered every year during Spring break to college freshman and sophomores in many different fields of interest. It can be in art, theater, business, marketing, finance, journalism, public relations, transportation, education, health, government, social services and more. Externships are located in Maryland, Pennsylvania, Delaware and Washington, D.C.